Whether your feelings are "It's June at last!" or "It's June already? ", this month kicks off a busy Hartford summer of outdoor parties, festivals, concerts, and movies, some of which take place in or adjacent to SoDo and are highlighted below. Do you have new neighbors? Do they know about the NRZ? Please share this newsletter with them so they can learn more about what is going on in SoDo. They can also sign up online here. The Annual Meeting of your NRZ will be Wednesday, June 21 at 6 pm, at the Amos Bull House, 59 South Prospect Street, 2nd Floor. 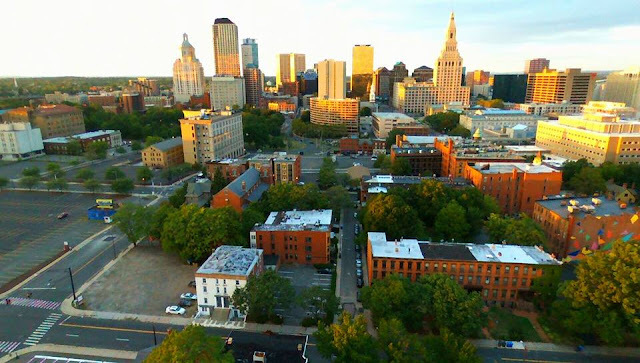 Board Elections will be held, and there will be brief presentations on the City's sustainability program and Hartford Food System. There will also be representatives from Catholic Charities for our continued conversation regarding adding a contained pharmacy to their property on Wadsworth Street. Please join us. The South Downtown NRZ is always looking for more SoDo residents, property owners and business owners to get involved in the NRZ. If you are interested in one of our open Board positions, volunteering for a project, or serving on a committee, please email SoDoNRZ@gmail.com. You can view past meeting minutes and newsletter editions on our website. And don't forget to check out our Facebook and NextDoor pages for neighborhood news and photos.